Using only minimally processed ingredients, our perishables are handmade and All Natural. Our wild Alaskan sockeye salmon is cold smoked with natural hardwood smoke and does not contain sodium nitrate. Our shrimp does not contain sodium tripolyphosphate. Our wasabi is colored with spirulina and our pickled ginger is sweetened with sugar instead of aspartame. No artificial coloring, sweeteners, nitrates, or sodium tripolyphosphates are used. We preserve freshness by preparing and delivering fresh products to our retailers seven days a week. We are a time-tested and proven manufacturer without a single recall. Our food safety license is another reason Origami Catering is such a unique company. We are a small local business with enormous wholesale capability. Our HACCP certification allows us to manufacture and deliver over 100 types of seafood items with guaranteed safety. 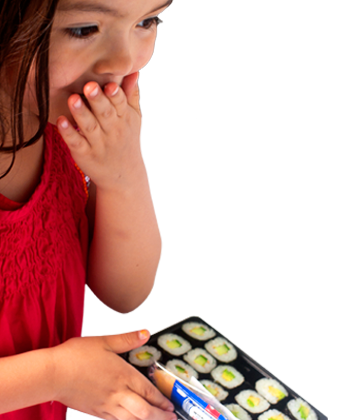 From fresh Hawaiian tuna and Alaskan king crab to Oregon dungeness crab, the possibilities for packaged sushi are endless–and the health risk is 100% managed and proven. We are HACCP certified to wholesale seafood and licensed through the Oregon Department of Agriculture. Origami Catering is the only full-service sushi wholesaler based in the Portland area. 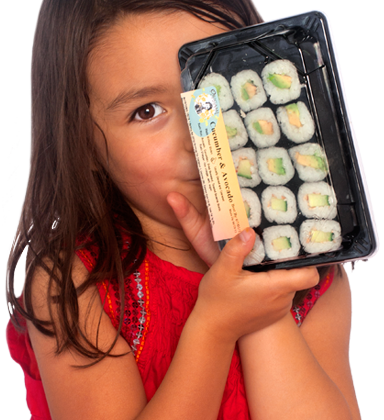 Most sushi wholesalers are franchised from southern California. Located in North Portland, Origami Catering is right around the corner rolling sushi for local grocery stores seven days a week. Supporting small local businesses feeds our economy and preserves our local character. We are grateful for your support.